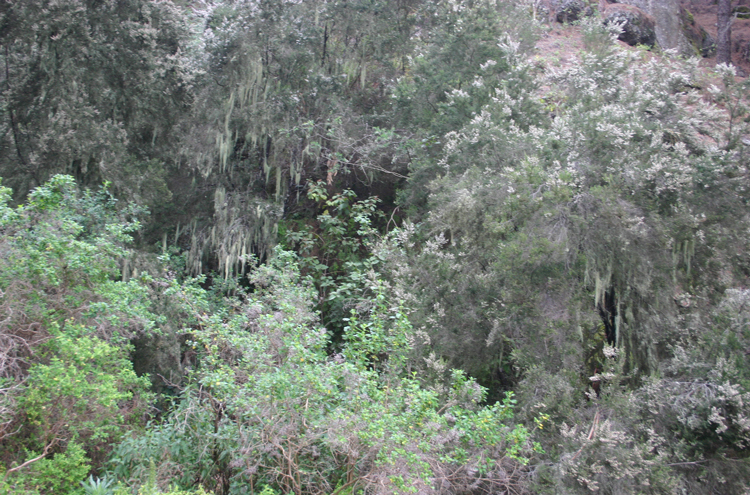 An huge area of vast, ancient landslip: cloud forests of laurel, tree heather and Canary pine, wide sea views. Fine opportunities for volcanic nerdery. 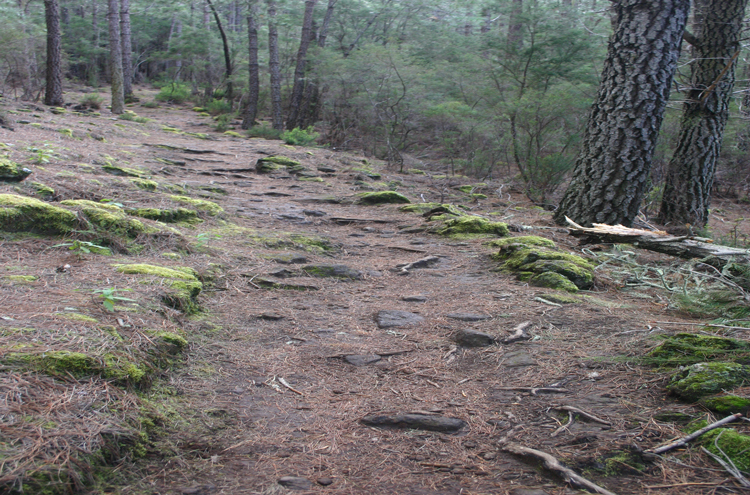 A good selection of interesting walks. La Orotava valley, in fact the remnants of yet another vast landslip, as evidenced by its cliff walls many kilometres apart, has wonderful laurel, tree heather and Canary pine forests above the rather dreary, densely populated coastal farmland and towns, some of which - La Orotava and Puerto de la Cruz - have delightful old centres. 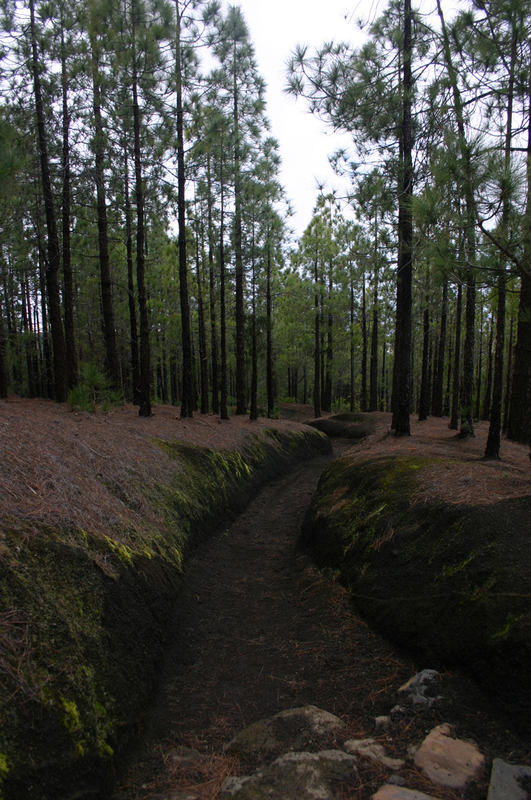 There is a group of lovely walks above La Caldera, through atmospheric laurel and tree heather forests, dripping beard-lichen, and Canary pines, crossing degraded lava slopes and giddy barrancos, with views of cliffs and the distant farmland and towns by the sea. These are well represented by the Sunflower Guide (the Cicerone perhaps sacrifices a little by creating long, linked routes). 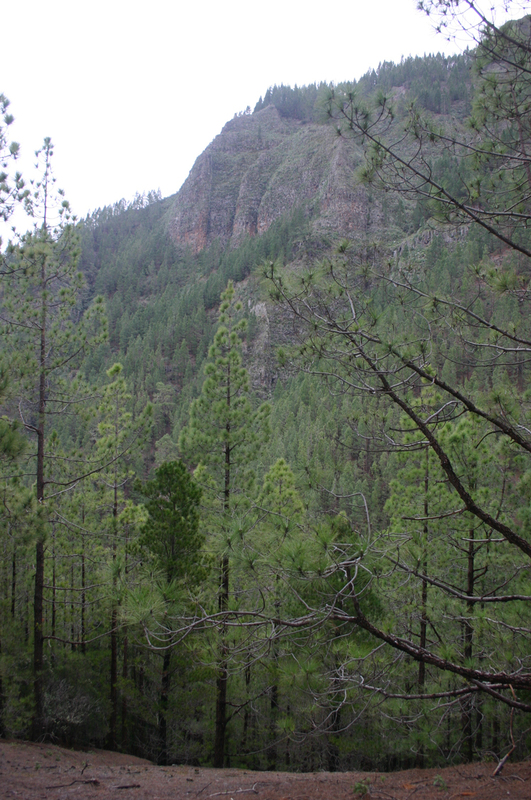 The classic is probably the long circuit above Los Organos. 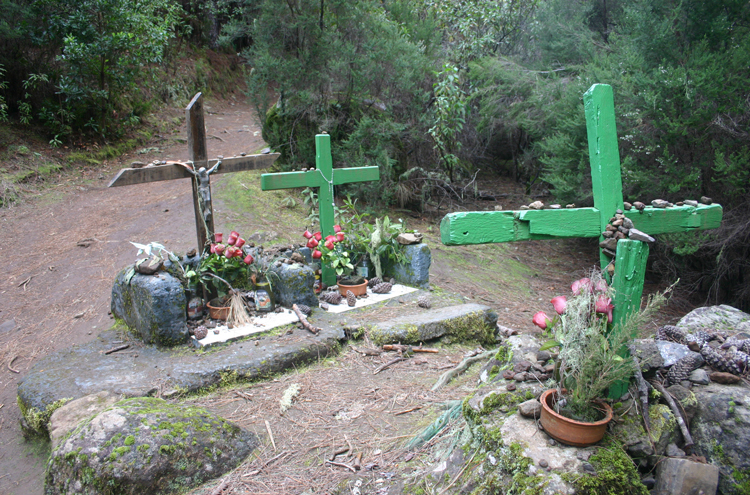 With somewhat limited time, we walked up the Camino de Guanches - an ancient, in places deeply-trodden trail of the pre-Spanish inhabitants - then traversed the hillside through lovely forest to Chimoche. 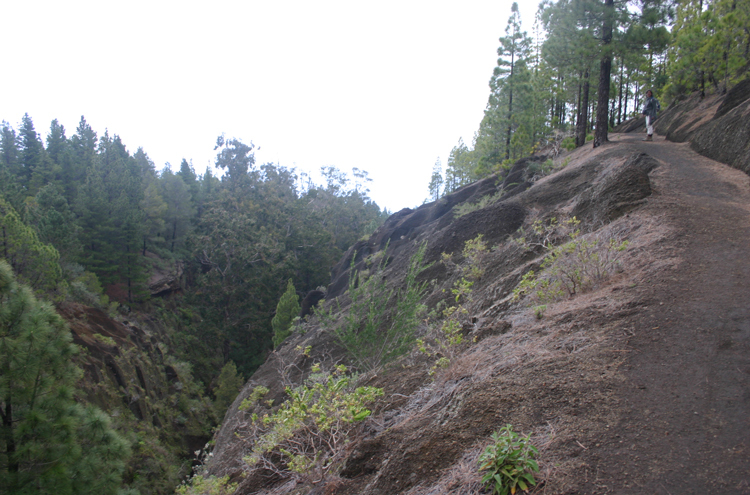 The next stage is magnificent, crossing a long, degraded lava flow dropping into sheer barrancos. You descend on the old, in places dug in, Camino Candelaria, an ancient pilgrimage route which crosses the islands central spine. 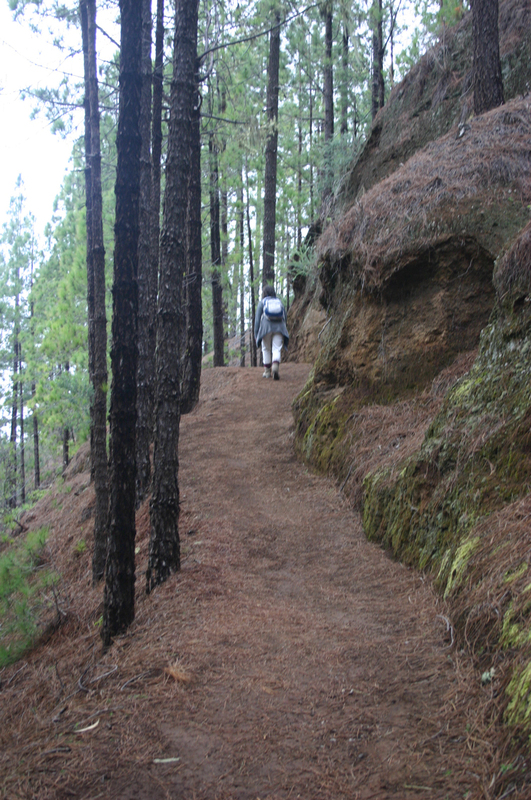 To get high above La Orotava, try the trail to El Portillo. 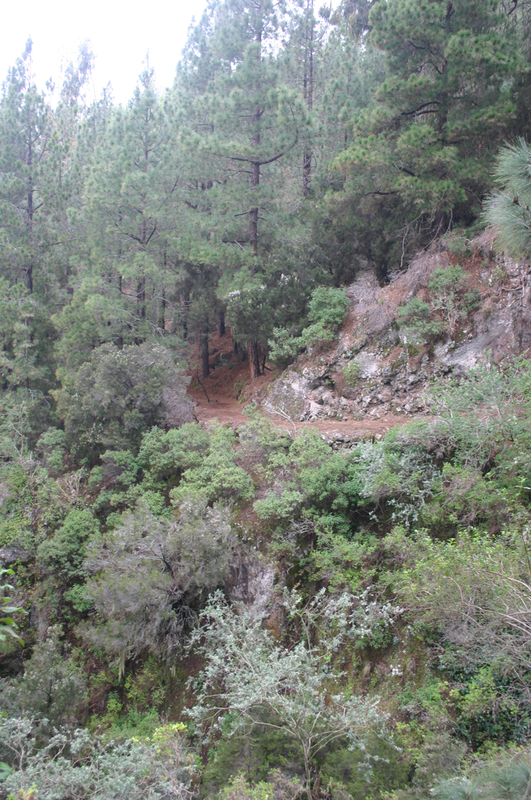 The Icod el Alto to Palo Blanco walk (Sunflower 14) in western Orotava looks attractive and interesting, as does the descent from El Portillo to Icod el Alto (Cicerone 28), which has huge views over La Orotava. 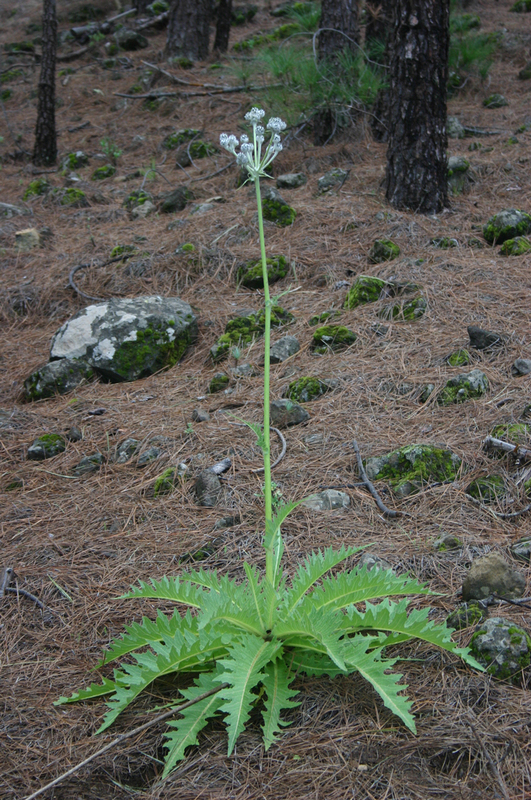 See our Tenerife page for more detailed general and practical information.